Bridge Magazine has partnered with Sporcle Live!, the state’s largest live pub trivia company, for a second round of the Michigan Trivia Championship. 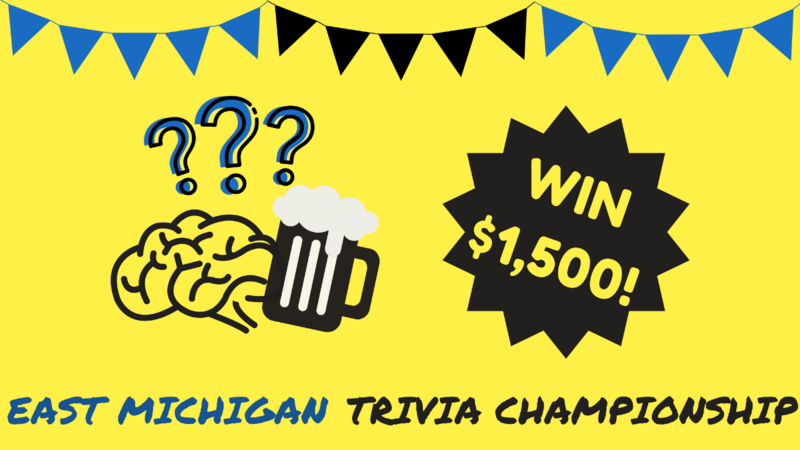 Taking place at 20 venues across metro Detroit, participants will compete for their chance to win the title of East Michigan Trivia Champion and the grand prize of $1,500. Second and third place teams will receive $1,000 and $500, respectively. Players will tackle a wide variety of questions over two hours. Some will focus on Michigan, and the rest could pull any topic, from music to biology to geography. Questions from the West Michigan Trivia Championship, hosted in April, ranged from “What is the average age Michigan residents to get married for the first time?” (28) to “What Marvel X-Men character shares a name with the title of a 2014 thriller film starring Jake Gyllenhaal?” (Nightcrawler). As a part of its sponsorship, Bridge Magazine will distribute copies of its 2018 Issue Guide at every event. Players will periodically be allowed to use the guide throughout the evening to assist in scoring points. Extra points can also be earned for subscribing to Bridge and wearing an “I Voted” sticker to any of the events on primary election day, August 7th. Those who pre-register will also receive a bonus clue, giving them an edge that evening. The list of all qualifying sites is available below, on Bridge Magazine’s event catalogue, and its Facebook page. The top-scoring team from each venue will qualify for the East Michigan Trivia Final, held on August 26th from 7 PM to 9 PM at Freddy’s Bar in Clinton Township. The team crowned East Michigan Trivia Champion will walk home with $1,500. Both iterations of the Michigan Trivia Championship are part of Bridge Magazine’s 2018 Truth Tour, a statewide road show designed to focus the midterm election on fact and provide fun, interactive citizenship opportunities for Michigan residents. In addition to trivia, the Truth Tour includes documentary screenings and town hall conversations hosted until election day, November 6, 2018. The full list of events is available on Bridge’s Truth Tour center or Facebook.